Apples! Chestnuts! Pears! Pumpkins! Explore the scenic Fruit Loop just east of Portland for all the u-picking you can handle this fall. The perfect pie is calling! Pick apples and pears throughout October at Draper Girls Country Farm. Varieties include Honey Crisp, Gala, Golden Supreme, and Elstar apples, as well as red and green Anjou and Bosc pears. After a hard day’s picking, relax at the farm with fresh cider and the Draper Girl's famous cinnamon-sugar dried apples. Gift idea! At the Hood River Lavender Farms, just off Highway 35, pick over 70 varieties of the fragrant, medicinal botanical. Make a bouquet or take home lavender essential oil, teas, salts and jellies for later use. 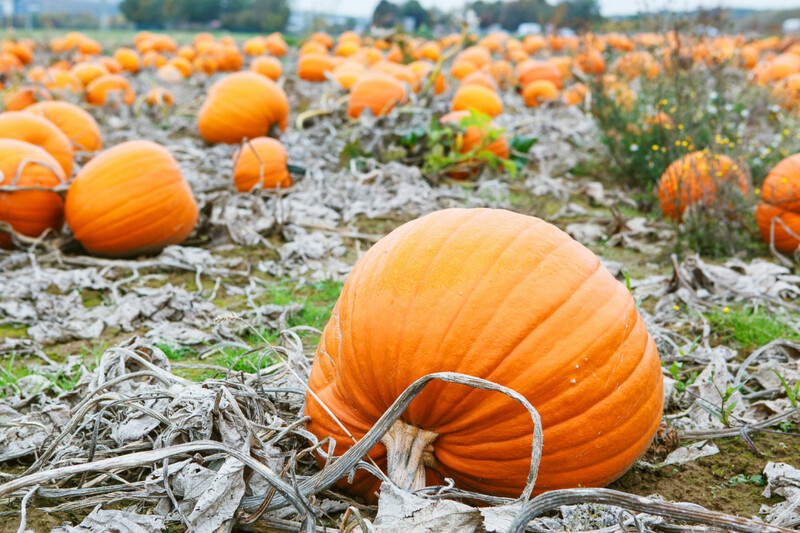 Get ready for Halloween jack-o-lantern carving with a trip to Rasmussen Farms’ u-pick pumpkin patches. U-Cut flowers are also growing aplenty, and you might as well pick some tomatoes, peppers, and beans, too. Join the annual Honeycrisp Harvest event at Kiyokawa Family Orchards and savor the sweet and tangy treats dipped in caramel or stuffed into baked goods available for purchase. Pears, Asian pears, and apples are available in season for u-picking, but check the online schedule for updates on other fruits and vegetables. When: Honeycrisp Harvest October 4-5; Monday-Friday 10 am-6 pm, Saturday-Sunday 9 am-6 pm until November. Did Someone Say Hot Apple Pie Sundae? Packer Orchards and Bakery has apples and pears until April and peaches through October. October 17-19 they'll host the Harvest Fest at Hood River Waterfront, and on October 25 – 26 their Apple Cider Overboard event will serve up fresh-pressed ciders, hot apple pie sundaes, and apple cinnamon rolls. Get cracking! Stop by Nella Chestnut Farm for freshly picked nuts, ready to roast over that storied open fire. The chestnuts grown and sold are Colossal Chestnuts, a Japanese-European hybrid easy to peel and sweet in flavor. Check the farm website for cooking instructions.